Since its auspicious debut, the metal community has embraced the Iron Label Guitar Series for its no-nonsense, bare bones, nothing-but-metal approach. Now, the Iron Label edict "Everything You Need and Nothing You Don't" continues to ring true with the introduction of the new IL15 combo amp. Designed with downtuned guitars in mind, this compact powerhouse has been modded and tweaked to deliver a thick, high-gain tone that holds together even with 7 or 8-string guitars. 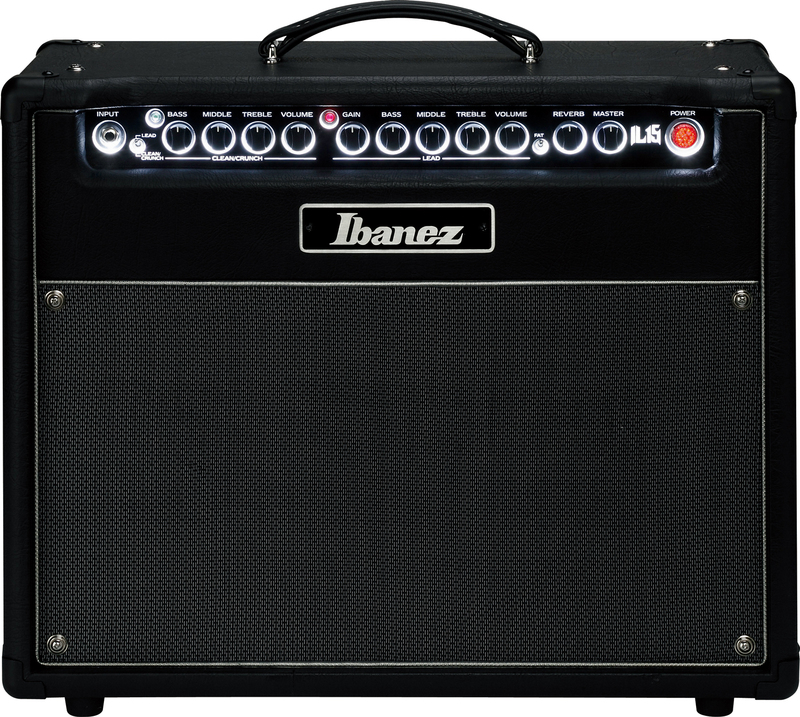 The IL15 features two 12AX7 and two EL84 tubes for a serious15-watts of tube power. It comes loaded with a 12" Celestion Seventy 80 speaker, chosen for its crisp definition and tightly controlled low-end and has an 8 ohm speaker out for adding another enclosure. Features include 2 channels, both with independent 3-band EQ, spring reverb and a "Fat Switch" which adds a low-end bump at around 60hz. Also includes a built-in FX loop and an illuminated plexi control panel. Whether you're at home, in the studio, on the tour bus, or even on stage the IL15 will get you where you need to go. Two channels, each with independent 3-band EQ, allow versatile sound making needed for today's metal. Celestion® 12" Seventy80 provides a straight, wide and massive sound.